Did you know that people with shiny white teeth are more likely to go on dates or even get jobs at interviews? No you didn’t, right? Neither did I. Mostly because there’s nothing like that. So if you are one of those people thinking the sun won’t need to shine because your teeth are so bright, here’s a chance to quit the daydream and learn a few facts. Let’s start from the basics. It’s all in the name. Teeth whitening simply means making your teeth as white as they should naturally be or whiter, usually by removing long standing stains or by other means which would probably make this definition too long. Now you may be thinking, “Shouldn’t a toothbrush do the job?” Well, correct me if I’m wrong but keeping anything white always requires special attention, whether it’s a bathtub, a shirt, your sneakers or your teeth. Of course, the only difference is people actually spend more than 5 years studying teeth, so it’s safe to assume they’re more delicate. You may want to avoid experimenting with them. 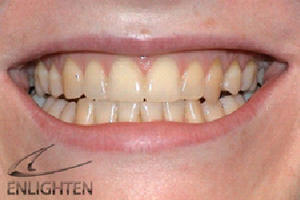 So while anyone can whiten their teeth, the process will vary based on a number of factors –from how badly discoloured the teeth are, how soon you want to see results or how long you want the results to last to simply postponing teeth whitening due to mouth related diseases or pregnancy. In effect, the whole process should be tailored to suit you personally including deciding if and when you can do it at home. Meanwhile, the more effective whitening products contain higher quantities of the active agent (hydrogen peroxide) which can be very dangerous and are only legally allowed to be used or prescribed by dentists as the case demands. Even your insurance company is sure to have a few paragraphs waiting to deny you if you somehow get into trouble by using those products without supervision. Naturally, access to such products means that whitening done by dentists produces better results than the ones done at home. This next part may break a few hearts but certain foods must be avoided during the period of teeth whitening. Some of them include strawberry, black tea or soda, black coffee, snacks with powdered cheese, tomato or red sauce, blueberries, chocolate, red wine,and others you can confirm from your dentist but yes, no pain no gain. You can still however have ice cream or yoghurt, rice, bread, milk, even sushi. But if you really must have a drink that causes discoloration, you must use a straw without shaking the drink around in your mouth. Although that is the whole point, isn’t it? 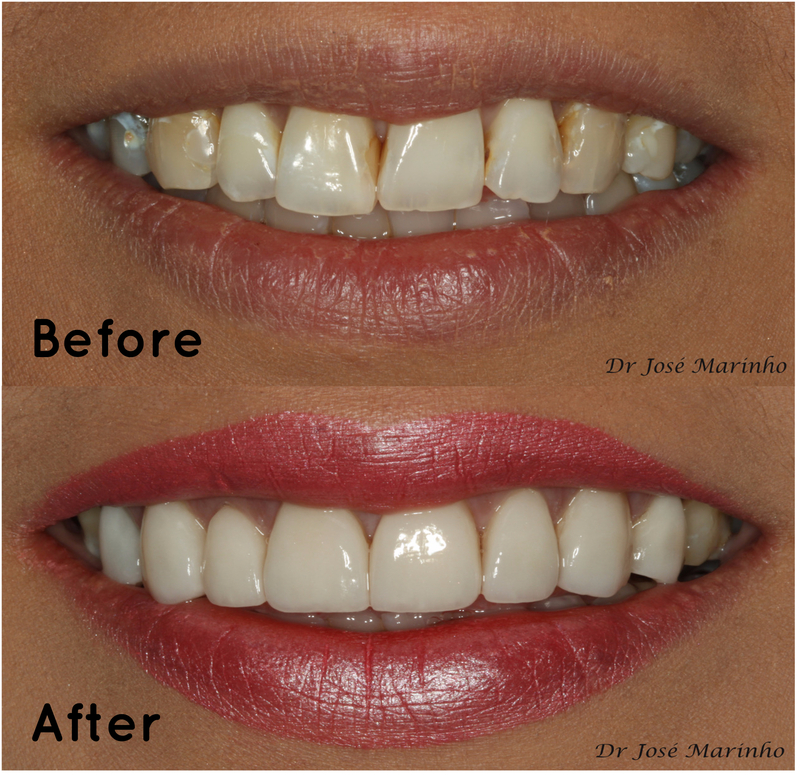 Professionally, there are two new major teeth whitening treatments – Zoom teeth whitening and Enlighten teeth whitening. Zoom actually fits its description. It is much faster and you would be done in less than 2 hours. Perfect for a quick fix but it only makes your teeth about 6 shades lighter and lasts roughly about a year. Enlighten on the other hand gives a shade B1 which is up to 15 times whiter than the current shade and can last up to 4 years, especially with good oral hygiene practices. Although, as you may have guessed, this is no quick fix. It takes about 3 weeks to complete the process. As with every new treatment, you would be right to guess that there are side effects. Provided it was done professionally, your teeth may just be very sensitive to hot or cold water or have a slight ache but it should all resolve on its own. If you did, however, assume you bagged a dental degree from a YouTube crash course, well, keep your friends close and your dentist closer. This entry was posted in Blog on 1st December, 2018 by Aura Dental. 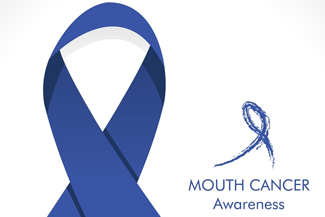 Mouth cancer can be labelled as abnormal cell growth within the mouth. Mouth cancer can affect any area of the mouth including jaws, lips, tongue, gums, tonsils and salivary glands. All of these tissues within the mouth are layered by soft cells called squamous cells. It’s these cells that come to be malevolent during mouth cancer issues. Thus, mouth cancer can also be called squamous cell carcinoma. Squamous carcinoma is the cancer commonly known to affect the oral cavity. Mouth cancer, which often called oral cancer, begins in the tissues and further affects the mouth, tongue, and lips. Additionally, it can go as far as affecting the roof of the mouth, the floor of the mouth, gums, or the cheek lining. Mouth cancers look a lot like each other when observed with a microscope. The cells become malevolent and tend to spread quickly in the mouth and other parts of the body. There are many conditions, habits and lifestyle choices that can cause mouth cancer. Some examples are smoking, chewing tobacco, consuming alcohol, and exposure to dangerous UV radiation. There are also other causes of mouth cancer which includes Kaposi’s sarcoma related with AIDS, Candida infection within the mouth, and lack of nutrition i.e. diets without the presence of vitamin A, C and E, selenium iron and zinc. Excessive intake of alcohol drinks increases the possibility of mouth cancer. Approximately 75% of mouth cancer patients are tobacco users (including the alleged ‘smokeless’ tobacco) and smokers in general. Drinking and smoking together keeps you open and vulnerable to mouth cancer. Studies have proved that consuming foods low in vegetables and fruits may expose you to the dangers of developing mouth cancer. Hence, consuming foods with high vegetables and fruits may guide you against so many types of cancer, especially mouth cancer. Exposure to heat and sunlight for a long period of time is also a contributing factor in skin and mouth cancers. THE SYMPTOMS – HOW DO I KNOW IF I HAVE MOUTH CANCER? A specialist can identify mouth cancer by a variety of symptoms. However, it is necessary that you go for a thorough dental check-up as soon as you notice any unusual changes, so as to ascertain if what you’re experiencing is mouth cancer. Aura Dental is a professional oral health clinic where you can have your regular oral check-ups and examinations. For additional benefits, we include mouth cancer screenings as part of our standard general check-ups. Thus, if you need a thorough dental examination, Aura Dental is the ideal place for you. Mouth cancer symptoms are often painless and looks a lot like other, non-hazardous oral symptoms. Our Dentists are capable of identifying the changes in your mouth which you may not notice. While gum diseases, infections, and many other mouth problems can show similar reactions, it remains a top priority to visit a dentist immediately if you notice any irregular changes within the mouth region. If any unusual changes are seen in the mouth region, we will refer you to a qualified specialist to conduct a diagnostic test of the affected area. In mouth cancer cases, identifying the problem quick and early can increase your chances of getting cured, this is why we recommend that you visit Aura Dental for regular dental examinations. Mouth cancer can be caused by many factors. All forms of tobacco use can hugely result to mouth cancer, including the supposed ‘smokeless’ tobacco. In addition, those who indulge in binge drinking of alcohol have more chances of getting mouth cancer than the non-alcoholic drinkers. Also, long exposure to heat or sunlight is also associated with mouth cancer. A little above 25% of mouth cancer patients are not alcoholic drinkers and have never smoked. Our dentists can help identify anything suspicious and refer you to a specialist to conduct a biopsy in a hospital setting to approve or deny the occurrence of the disease. Once it is verified that there are cancerous cells the doctor will advise the best course of treatment. Simply because you notice a sore within the mouth region doesn’t mean you have mouth cancer. 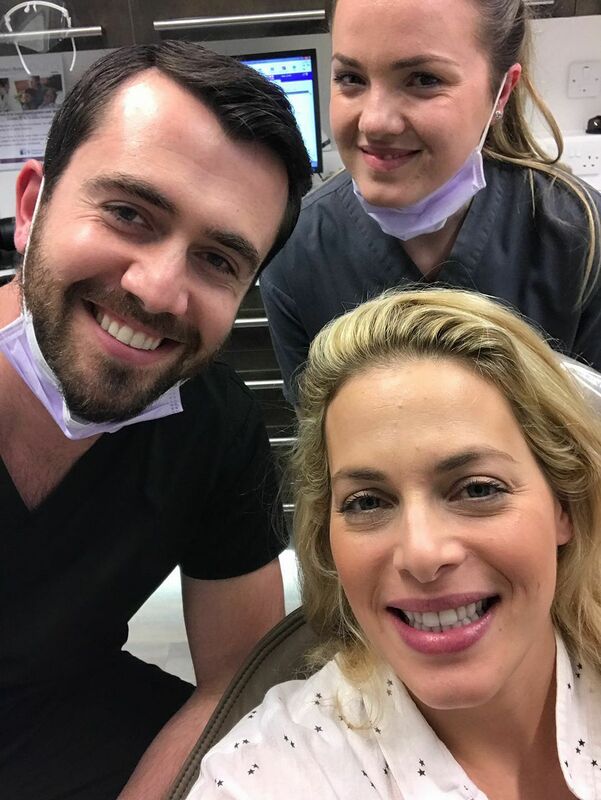 However, visiting Aura Dental regularly to examine the mouth will ensure that anything suspicious is caught in time, potentially preventing any new development of the disease. By thoroughly examining the mouth, neck, lips, gums and throat at least once every month can help you detect anything that may seem suspicious at the early stages. Quick and early interference is vital in order to increase the chance of successful treatment. If you start to notice symptoms of mouth cancer after the examination with your dentist, quickly raise an alarm. Also, be ready to act in case any sores start to develop within the mouth region. If you notice these symptoms and they don’t show signs of healing in two weeks, book an appointment as soon as you’re able. Irregular sores that are non-cancerous will be severe in the early stages, but will heal gradually. They ought to be completely healed within a week or two. At times mouth cancer sores appear very little and difficult to notice. Along with regular self-examinations, booking an appointment with our dentists for regular check-ups at least once or twice yearly is very important. This will guarantee the quick and early discovery of new, unusual developments that may come up. Along with sores in the mouth, there are many other signs to look out for in cases of oral cancer that requires immediate examination. These signs include white and red spots within the mouth, bleeding from the mouth, swelling around the mouth region or a lump-like gathering around the neck or jaw may indicate the presence of cancer. Also, if you find it hard moving the mouth region, or you feel pain while speaking, swallowing or chewing, these are serious signs of mouth cancer. In case you notice any of these signs, you should quickly visit our clinic for an immediate check-up. Just like every other cancer, mouth cancer can be completely cured at the early stages. As cancer moves from one part of the body to another, a complete recovery can be very difficult in the later stages. If the disease is spotted at the early stage, the possibilities of a total cure are high, and you also have a better chance of recovery if the affected area is small. However, many people tend to notice this disease at the later stage, because they don’t see their doctor or dentist regularly for examination, thereby making it difficult to obtain a complete cure. Mouth cancer hardly ever causes pain at the initial stages. Irregular cell growth normally appears as smooth patches. A cancer sore appears like an ulcer, frequently with a gloom in the middle. The centre of the cancer sore might be white, yellow, or grey, having red edges. 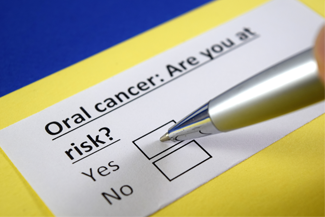 visit a dentist for regular mouth cancer examination. If you reside in London count yourself lucky for having the opportunity to access quality dental care services. Aura dental is a patient-friendly, private dental clinic that provides professional dental services, including mouth cancer awareness and mouth cancer screenings as part of our standard general check-ups. At Aura Dental, we keep an eye on your oral health and regular examinations allow us to see any new unusual developments in the mouth. If we notice any irregularities, we will refer you to a specialist centre in the hospital to perform biopsies of the affected area. The tests that are essential to determine the cancer stage are X-ray, endoscopy, CT scan and MRI scan. We aim to increase awareness in the possibility of mouth cancer cases, that is why we have included a cancer screen as part of our general check-ups. For oral dental care which includes oral surgery, paediatric dentistry, restorative dentistry, and orthodontics – we got you covered! Book an examination with us today! This entry was posted in Blog on 1st November, 2018 by Aura Dental. If you are a fan of the many talent shows on TV, you will know how much first impressions count. Remember when Susan Boyle came onto the Britain’s Got Talent stage back in 2009? Everyone wrote her off before she’d even opened her mouth to reveal she had the voice of several angels. She went on to become a major star, and to have quite a visual makeover, but even so her looks have deprived her of being taken seriously by many. Visual information, collected almost subconsciously, can permanently influence our opinion of another person, especially in situations such as dating and job interviews. If we don’t smile, people can easily assume that we are miserable or unfriendly, whereas the real reason may be because we are ashamed of our wonky teeth. Of course, by the time we are adults, many of us are unwilling to have visible teeth straightening devices that will attract unwanted attention. This is why we offer clear braces in St John’s Wood at Aura Dental. Invisalign is an innovative kind of braces in St John’s Wood. Instead of the usual brackets, bands and wires, it uses clear plastic trays, rather like mouth guards, that push rather than pull your teeth into alignment. This kind of braces in St John’s Wood has several advantages over wire and bracket braces. Invisalign avoids the teenage look that is often associated with ‘train-track’ braces by the use of incredibly thin, clear plastic trays that fit snugly over the teeth, and are hard for other people to spot. Importantly for many adults who have public-facing jobs, they do not interfere with speech. Another big plus is that Invisalign trays are removable. This means no food stuck in brackets and wires that can takes ages to brush away, and therefore much less chance of tooth decay. You can eat whatever you like but it is important to only drink water when the aligner is in because you could stain the plastic. Also, if you really need to, you can remove the aligner for a few hours for important business or social events. 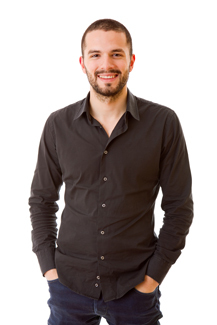 You must wear the aligners for at least 20 hours a day if the treatment is to stay on schedule. This entry was posted in Blog on 12th May, 2017 by Aura Dental. Titanium is not just a multi-coloured metal used for making interesting jewellery. It is also used in dental implants. In St John’s Wood, at Aura Dental, these miniature miracles have been improving the lives of many patients who have lost teeth. There are 4 reasons why titanium is the go-to metal for dental implants in St John’s Wood. Titanium is lightweight, very strong, and does not corrode after being inserted into the body. But along with being light, durable and strong, titanium has another property that makes it the stand-out choice for use in implants – its capacity to actually mesh with bone tissue. Titanium’s ability to do this makes it a very popular choice for dental implants, which need to be housed in strong, healthy bone tissue so that they can withstand the multi-directional strong forces associated with biting and chewing. When someone loses a tooth, the bone that once held the root very quickly starts to lose its density. Titanium implants actually encourage the jawbone to produce new bone tissue and blood vessels, and so help keep it strong and healthy for all the remaining natural teeth. If the jawbone is not healthy or the gum has receded, teeth can come loose in their sockets. In St John’s Wood, dental implants made of titanium help the jawbone to maintain a healthy size. It may be necessary to have preparatory bone grafting treatment before implants are fitted, if the jawbone has lost density. This may add several months to the treatment process, as time has to be allowed for the grafts to take and generate new bone tissue. In St John’s Wood, dental implants are fitted in 2 stages following an in-depth consultation and examination to make sure the jawbone can take, or can be made to take the implants. If they are, our dentists create new sockets in the jawbone and insert the titanium implants. This surgery is usually done under local anaesthetic, but sedation is also available if you are an anxious patient. After several weeks or possibly months of healing time, during which the titanium implants bond with the bone, artificial teeth, custom-made to blend with your natural teeth, can be fitted. This entry was posted in Blog on 10th May, 2017 by Aura Dental. 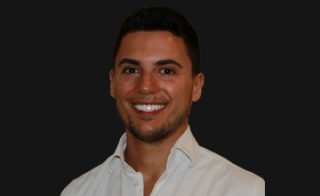 George Angelidakis, our resident Invisalign Specialist answers your questions about Invisalign. 1.How is Invisalign different from braces? Invisalign is a removable device called an aligner, similar to a mouth guard but less bulky. It appears near invisible when in your mouth and after a few days getting used to it, you’ll hardly notice it. You can remove the aligner when you eat, brush your teeth and in extreme cases such as a significant event. Apart from these occasions, the aligners must be worn as directed to make sure your treatment is not prolonged. Fixed braces require brackets to be bonded to each individual tooth using wires and rubber bands to move your teeth. A bit more care and attention is required for fixed braces to avoid breakages to brackets or wires (usually done while eating! ), which will prolong your treatment. Also, fixed braces promote food packing (getting caught in crevasses around the bracket) during every meal and this can compromise or affect your oral hygiene. Clear, aesthetic braces are available today that can significantly improve aesthetics during the treatment, however, they are still more noticeable and bulkier than an Invisalign aligner. There are certain cases where one or the other is more appropriate. We will assess your personal circumstances and advice on the best options for you. 2. What are the pros and cons of Invisalign? Oral Hygiene is kept ideal throughout the treatment as the aligners are removed during meals and you are able to floss and keep the interdental spaces clean. Very safe, as the aligners apply mild pressure on the teeth to be moved. You will start by having a comprehensive check up with x-rays to ensure you are suitable for the treatment. If suitable, Invisalign will digitally model your teeth and using 3-D technology, simulate the movement of your teeth over a period of time. The appropriate number of Invisalign aligners will be determined and your dentist will advise you when each one needs to worn and for how long. Each aligner will adjust your teeth to prepare for the next aligner. Every time you change your aligner, it will feel tighter at first, but you will subside after a few days as your teeth adjustment further. 4. How long does it take and how do I make sure my teeth don’t move when I’m finished? Very generally speaking, the treatment will usually last between 3 and 9 months. Discipline in wearing the aligners will determine the length of your Invisalign treatment. If you wear them 22-23 hours a day except for eating, drinking and brushing your teeth, your treatment should take the amount of time determined in your 3D simulation. The state of your hygiene can also affect the length of your treatment. It is very important that you undergo regular hygiene cleans throughout your Invisalign treatment to avoid delays. Good ongoing oral hygiene is also important after your treatment to prevent your teeth from moving again. Build up of plaque on your teeth can cause small movements, particularly in the first few months after your treatment has finished. You will need either a fixed retainer (a small wire stuck to the back of your teeth) and/or a removable retainer (much like the Invisalign aligner and worn at night usually) to prevent your teeth trying to move back to their original positions. The final cost of your treatment depends on the complexity of your case. The simpler the case the lower the cost is likely to be. You should also take into account the need for regular hygiene cleans throughout your treatment. At Aura Dental, Invisalign prices start from £1599 for simple cases. However adult Invisalign treatment will often fall between £2,500 and £5,000. The cost of your initial consultation (£75 plus x-rays) will be incorporated into this if you choose to proceed with the treatment. Hygiene cleans can be added on as directed (regular clean is £70; deep clean is £95). We do appreciate that that these are not small amounts of money, but they are an investment in your smile, which you will be with you forever. There will be a low cost financing options that can help you spread the cost of your treatment over time. If you are interested in Invisalign, come and see us at Aura Dental in St Johns Wood. Our Treatment Coordinator, Nadia can also answer your questions about treatment and financing options. Hope to see you soon! This entry was posted in Blog on 8th May, 2017 by Aura Dental. A smile to show off? Do you feel comfortable smiling? Or do you avoid photographs and worry about interacting with others? Even if you care for your teeth well and have good dental health, you may wish that your appearance was more attractive. Chipped, broken, missing, misaligned or discoloured teeth can be uncomfortable and contribute to you feeling unhappy with how you look. This can really affect your quality of life, as it constantly undermines the enjoyment you feel and how you express yourself. At Aura Dental in St John’s Wood, cosmetic dentistry allows you to look and feel great. There is no need to suffer with discomfort or feelings of embarrassment or dissatisfaction any more. 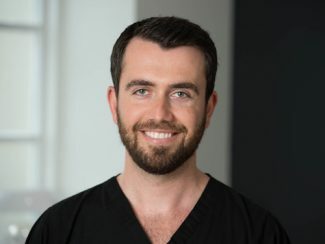 For many of our patients in St John’s Wood, cosmetic dentistry has proved life changing. This branch of dental care is the art of making your smile more attractive using a variety of techniques to repair damage, realign your teeth or improve their appearance. Some procedures can also improve your oral health as they make your teeth easier to clean, stronger or more stable. We are proud to offer a friendly, empathetic and highly skilled service so that you get the results you want in a way which suits you. 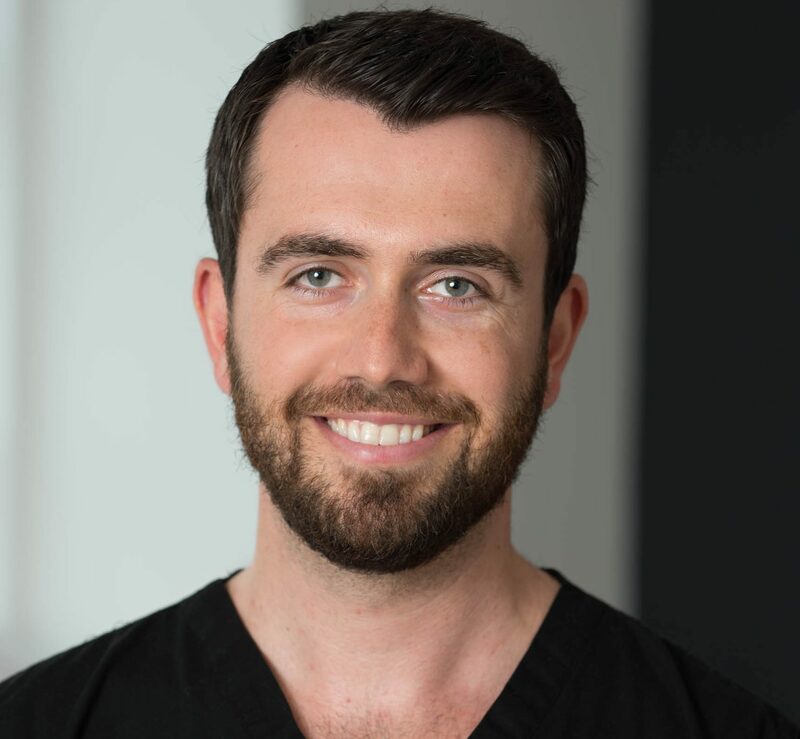 Our team have helped many patients achieve the smile of their dreams with cosmetic dentistry in St John’s Wood. We offer a full range of options from teeth whitening and dental veneers to white fillings and braces. 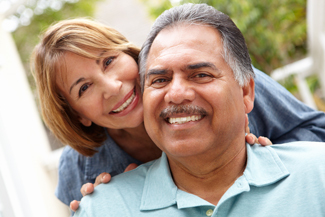 We can also discuss treatments such as dental implants, bridges, dentures or crowns with you. Modern techniques mean that treatment is faster, more comfortable and less obtrusive than ever before. For example, choosing clear aligners instead of traditional metal braces allows you to have straighter teeth without having to wear ugly train tracks for months. 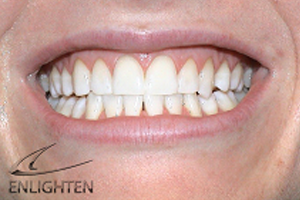 We can enhance the appearance, condition, colour and placement of your teeth for a beaming smile. Give yourself the gift of a beautiful smile and see how cosmetic dentistry in St John’s Wood can help you. Get in touch with our experienced team today to discuss how changing your smile can change your life. This entry was posted in Blog on 28th April, 2017 by Aura Dental. 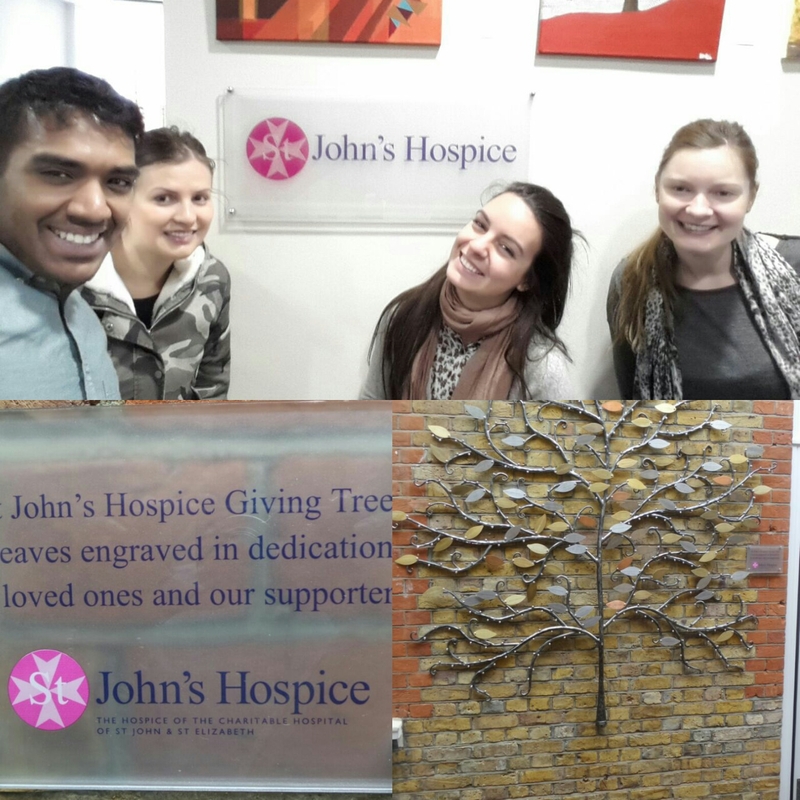 The remarkable people at St John’s Hospice provide the end of life care to more than 3000 terminally ill patients and their carers a year. The continuous existence of the Hospice heavily depends on support from the local businesses and people. The hospice currently has 19 in patient beds, Hospice at home service, Day Centre, Bereavement services and many more including its very own St John’s Hospice ambulance. To continue to provide this level of support to our community, the hospice needs to raise £1.8 million every year in voluntary donations. At Aura, we strongly believe it is essential for places like this to exist as they represent the very core of our community and bring us closer together. This is why, we continue to spread the word about St John’s Hospice amongst our patients and do all we can to encourage people to support this great cause. Every time you visit Aura and check-in on Facebook followed by a review, we know you are with us on this and we will happily donate one pound of our money to the Hospice on your behalf. Happy Easter to all of our lovely patients and staff! This entry was posted in Blog on 13th April, 2017 by Aura Dental. Ever since I was little my teeth were really crooked. I was always ashamed to smile because I didn’t like my teeth. I used my hand to cover my mouth every time I smiled so that no one could see them. I envied people who have straight teeth and would always dream of having teeth like theirs. I had been to many dentists in London and Milan, where I used to live and they all told me I would need expensive maxillofacial surgery, teeth removed and a very expensive course of treatment. 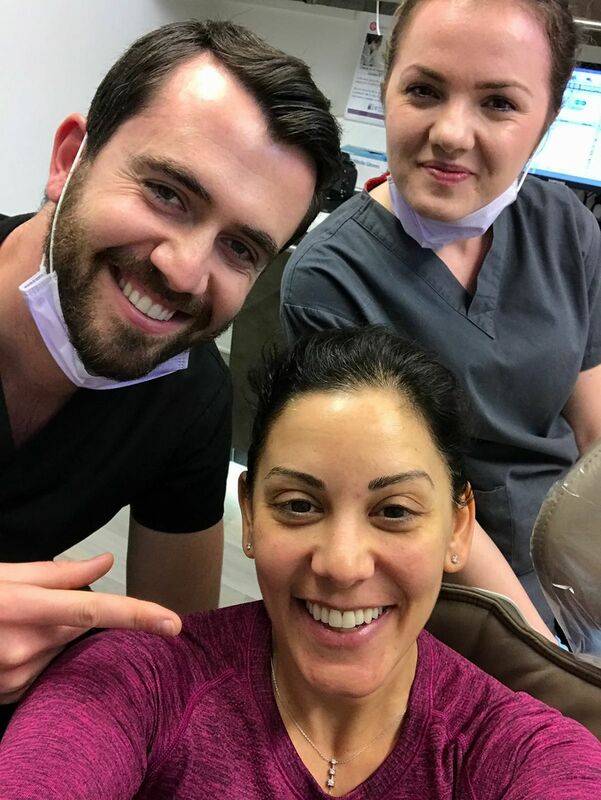 When I started working at Aura, I spoke to David and Maggie about my options and they recommended fixed braces and something called a quad helix to help expand my jaw…no maxillofacial surgery required and no teeth removed! I was so happy to be given an option that I could afford and would not mean breaking my jaw! I was told that having braces might be painful at times but I didn’t care because I told to myself that I was ready to do anything. I had waited so long to get my teeth fixed that if I had to bear a bit of temporary pain to relieve the emotional pain I have felt for years, I could manage with it. Now that I have removed my braces I’m smiling all the time, sometimes like a fool just to show my teeth! I’m not afraid anymore about the thought that other people can see my teeth and judge my smile. I also stopped using my hand to cover my mouth when I’m talking to people. I really discovered the thrill of how it feels to laugh without worrying about the fact that other people can see my smile. I would definitely recommend braces for people looking to get their teeth straightened. Sometimes people don’t feel comfortable with what they have and fantasise about how their lives would be different if they will be able to change their smile. I had that opportunity and I will be thankful for all my life to the Aura Dental. 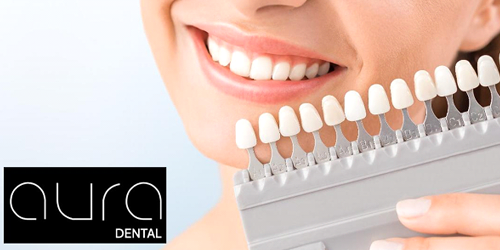 To find out more about straightening your teeth at Aura Dental, visit our website at www.auradentallondon.com or email Nadia to arrange to have a chat. 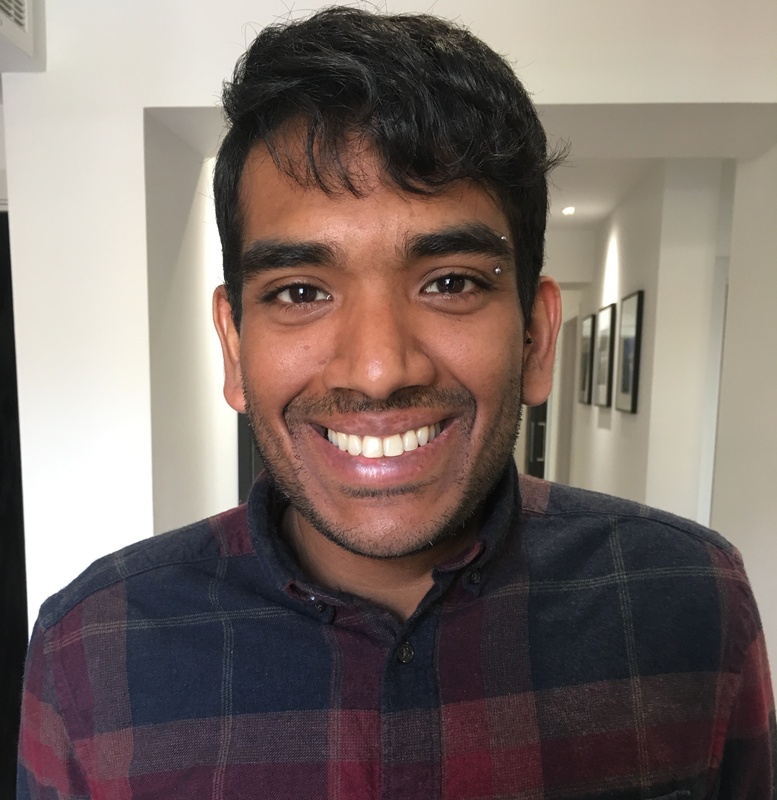 This entry was posted in Blog, Braces, Cosmetic Dentistry, Orthodontics on 6th April, 2017 by Aura Dental.